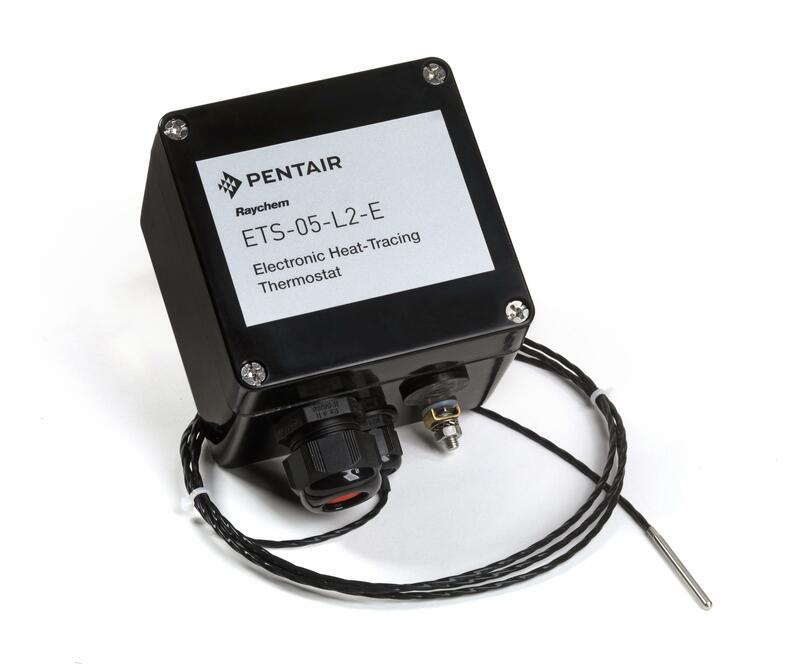 Global heat-tracing solutions provider, Pentair, has launched an electronic surface sensing thermostat for hazardous areas. The Raychem ETS-05 thermostat provides accurate temperature control and monitoring for heat-tracing installations. Compared to previous electronic thermostats, it provides an increased maximum current load, bigger connection terminals, a broader temperature control range, local LED indications and an additional fail-safe option. One of the key benefits of the new Raychem thermostat is the increased size of the terminals to 6mm2, enabling power and heat-tracing cables to be connected directly. This reduces the cost for plant owners as it will no longer be necessary to use junction boxes. Raychem ETS-05 is available in two versions: the ETS-05-L2-E monitors temperatures up to 199°C and is fitted with a flexible sensor, while the ETS-05-H2-E can be used for temperatures up to 499°C and has a stainless steel sensor accordingly. Both come with a maximum nominal current of 32 Amps for longer circuits to meet the market’s requirements. Other features include switching accuracy of ±1K at 5°C and switching differential (Hysteresis) of 3°C. Another important feature is that the thermostat has a configurable failsafe mode (power on or power off). It has a LED local status indicator, which shows whether the device itself as well as the heat-tracing cable is switched on or off. In case of sensor failure, the thermostat will switch to an on or off state, depending on the user’s requirement. The LED will show the alarm state at that moment. Raychem ETS-05 is fully compliant with ATEX and IECEx requirements for use in ZONES 1, 2, 21 and 22.